Hi friends and My best Visitors… Thanx to download this Free Zippy WordPress Theme.. The Theme have many options and easy to use in wordpress panel.. Free Zippy WordPress Theme is best for blogging sites and best for all bloggers. user can change the color of this theme.. theme have many options like side bar, post area, featured post, navigation, ads area, post slider. 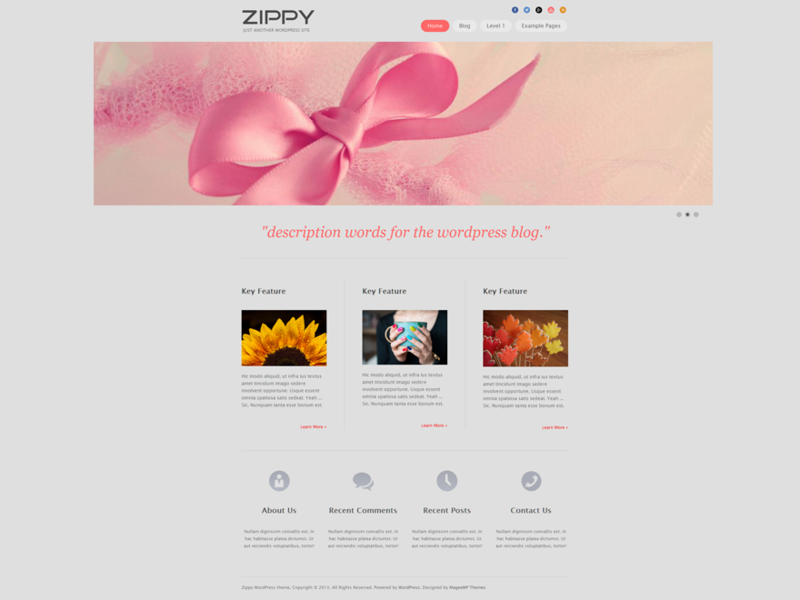 Free Zippy WordPress Theme is easy to manage. Go to below download link and click there.